Can former quarterbacks coach Zac Taylor light a fire under the Bengals offense? CINCINNATI — The Cincinnati Bengals believe Zac Taylor was worth the wait. It has been a few weeks since Taylor was first rumored to be the Bengals’ choice for their next head coach, but an official announcement had to wait until his Los Angeles Rams were finished playing for the season. Taylor, 35, now replaces Marvin Lewis, who was fired on Dec. 31 after 16 seasons. Under Lewis, the Bengals made seven playoff appearances but came away empty each time. They are coming off three straight losing seasons and will enter the 2019 season not having won a playoff game since 1991. But the Bengals are hoping to change that with Taylor, who spent the past two years with the Rams, most recently as quarterbacks coach. "I am happy and fortunate to join the Cincinnati Bengals as head coach," Taylor said in a news release. "This is a great organization with good people and a rich history, and I am excited to get started. I am looking to add to that history by setting high standards, and holding everyone here accountable to those standards. There is a lot of work to do, and this is day one. We’re going to attack every day with enthusiasm to get this team ready to go." The team will hold a news conference with Taylor Tuesday. Taylor helped Rams quarterback Jared Goff pass for 4,688 yards and 32 touchdowns this season. His 8.36 yards per attempt ranked fourth in the NFL. The Rams’ passing offense ranked fifth with 282 yards per game and 10th in the NFL with the third-most receiving yards by rookie receivers, helping them to a 13-3 regular-season record. Prior to two seasons with the Rams, including one as assistant wide receivers coach, Taylor spent one year with the University of Cincinnati Bearcats as quarterbacks coach and offensive coordinator under Tommy Tuberville. Before that, he had spent four years with the Dolphins, serving as offensive coordinator for part of the 2015 season. As quarterbacks coach in Miami, Taylor helped Ryan Tannehill throw for 3,000 or more yards in each of his first four seasons. In Los Angeles, Taylor worked under the tutelage of Sean McVay, who after becoming the youngest head coach in NFL history at age 30, helped the Rams become the first team in NFL history to go from last to first in scoring offense in one season. Some are calling it the “Sean McVay effect,” but Taylor joins 39-year-old Matt LaFleur (Packers) and 39-year-old Kilff Kingsbury (Cardinals) as newly hired young coaches who also are considered to be offensive gurus. LaFleur was the Rams’ offensive coordinator under McVay in 2017. The hiring of Taylor ends a thorough search by the Bengals, who interviewed eight candidates, including internal candidates special assistant Hue Jackson, special teams coach Darrin Simmons, and offensive coordinator Bill Lazor. Kansas City Chiefs offensive coordinator Eric Bieniemy and former Denver Broncos head coach Vance Joseph were among the external candidates. Shortly after Lewis’ ouster, there were signs of a shift in the way the Bengals have been known to do business. Team owner and president Mike Brown, who turns 84 this year, handed over the search for a head coach to his daughter and team executive vice president, Katie Blackburn, and her husband and team vice president, Troy. Cleaning house of the Bengals coaching staff began soon after with the dismissal of Jackson, Lazor, offensive line coach Frank Pollack, tight end coach Jonathan Hayes and running backs coach Kyle Caskey. Lazor, Pollack, and Caskey had helped turn the Bengals running game around in one season, with the help of second-year back Joe Mixon. But these changes in leadership on the offensive side of the ball open the door for Taylor to bring in his own staff. Now that Taylor has officially been hired, his staff should be announced soon. Taylor’s younger brother, Press, is quarterbacks coach for the Philadelphia Eagles. And his father-in-law is former Packers head coach Mike Sherman, though he’s 64 years old. And Taylor could dip into the McVay coaching tree, which has plenty of branches. Concerns about Taylor’s lack of experience are understandable. He’s never been a head coach at any level. But for evidence such a gamble can work, look no further than New Orleans Saints head coach Sean Payton, who made the jump from quarterbacks coach to Super-Bowl winning head coach. 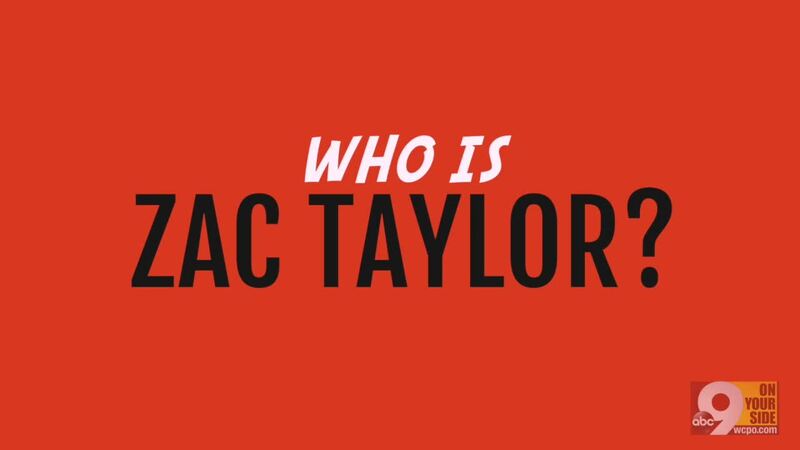 Taylor’s character also gets high marks, especially from those who worked closely with him during his tenure at UC, which was a tumultuous period for the Bearcats football program. Even amid a dispute over who should start at quarterback between Gunner Kiel and Hayden Moore, during which Tuberville placed blame on him, Taylor reportedly never lashed back at his head coach, either publicly or privately. As a player, Taylor was an accomplished college quarterback at Wake Forest and Nebraska. He passed for a school-record 2,653 yards in 2005 for the Cornhuskers, then the next season eclipsed that mark with 2,789 yards and 24 TDs and was named Big 12 offensive player of the year. Before becoming the first new head coach of the Bengals since 2003, Taylor reportedly interviewed for at least three head coaching positions -- with the Broncos, Arizona Cardinals, and Bengals. It remains to be seen whether Taylor and whoever he brings in as offensive coordinator can get the best out of Andy Dalton and the Bengals’ offense, which ranked 26th overall during an injury-riddled season. Under McVay, the Rams were thought to make better use of their weapons than just about any team in the NFL. If healthy, the Bengals have plenty of talent in receivers A.J. Green and Tyler Boyd, tight end Tyler Eifert and running backs Joe Mixon and Giovani Bernard. The big question is how Dalton fits into Taylor’s scheme long-term. Goff and Dalton complete about the same percentage of passes, but Goff had around 200 more attempts and passed for 2,100 more yards. Goff also had nearly three times the number of rush attempts as Dalton, who has two years remaining on his contract. It’s a growing trend in the NFL to hire young, bright offensive minds as coaches and look to them for long-term solutions rather than a quick fix. After 16 years of disappointing sameness, the Bengals appear poised to usher in a new, more hopeful, era with Taylor.